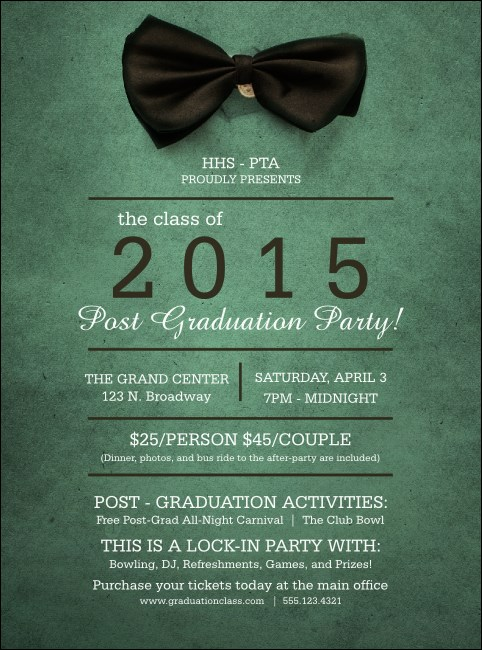 Promote your formal event with style and a bit of pizzazz when you print Bow Tie Flyers and post them in advance. These handsome Flyer templates feature an attractive sea-green background with a fancy black bow tie near the top, and give you space to add seventeen lines of text for all your event details. Keep it classy with TicketPrinting.com.